A low growing deciduous shrub, Potentilla Lovely Pink produces pale pink, cup-shaped flowers from late spring to early autumn. Attractive to bees and butterflies. This is an easy to grow variety that also shows good tolerance to drought conditions. Height 50-60cm. Supplied in a 7.5-10 litre pot. 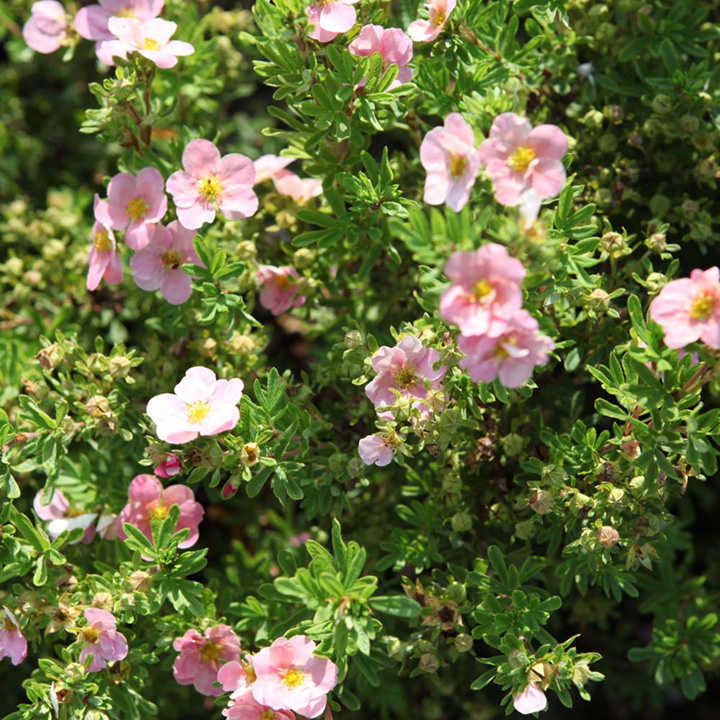 A low growing deciduous shrub, Potentilla Lovely Pink produces pale pink, cup-shaped flowers from late spring to early autumn. Attractive to bees and butterflies. This is an easy to grow variety that also shows good tolerance to drought conditions. Height 50-60cm. Supplied in a 3 litre pot or 7.5-10 litre pot.